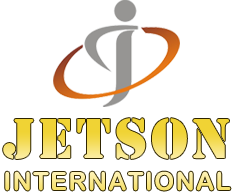 Jetson International is a Morbi (Gujarat) based company that saw its operations commencing in 2014. After a humble beginning, we are serving some of the most reputed clients around the world today. Understanding the fact that our products have a direct impact on the health of the consumers, we make sure that we offer only the highest quality product to the client. Surprise checks and random sample checks are performed to ensure the high quality of the products. Also, we focus on appropriate packaging for ensuring good quality. Our team consists of professionals from various domains. We have sales professionals, procuring agents, quality auditors which complete our hardworking team. These people are selected purely on talent and knowledge basis to ensure that we enjoy a healthy work environment.